Asymmetrical edges are out of scope of my question because I feel like they're too different from symmetrical edges as it relates to the question. If the stock edge-grind on a chef's knife is any rounded variation, is that something that should be avoided due to a less well-defined guiding angle for future sharpening? Does it have any material effect on knife performance if the quality of the edge is comparable in polish, angle, etc? In the above picture, all but the chisel type is symmetrical. 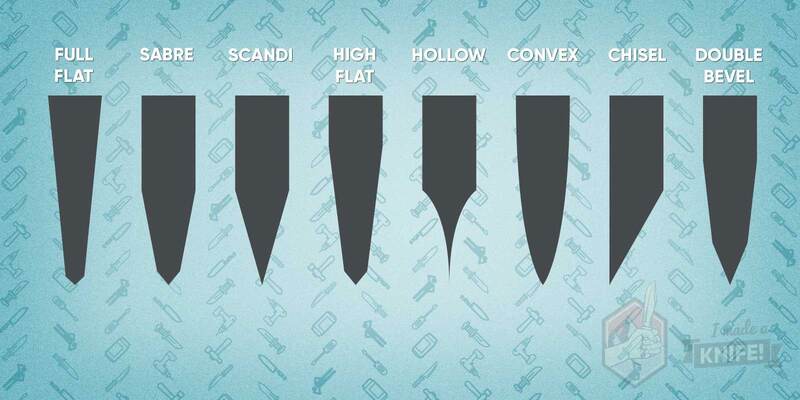 Hollow and convex are examples of the types I would be concerned about during the first non-factory sharpening. Browse other questions tagged equipment knives sharpening or ask your own question. About 'sharpening"; do you PUSH OR PULL the blade across the stone?